My Mountain Trike has improved my quality of life and fitness - it's fun too! I have been going to local shows around the area and the Trike always draws attention and people want to know more about it. 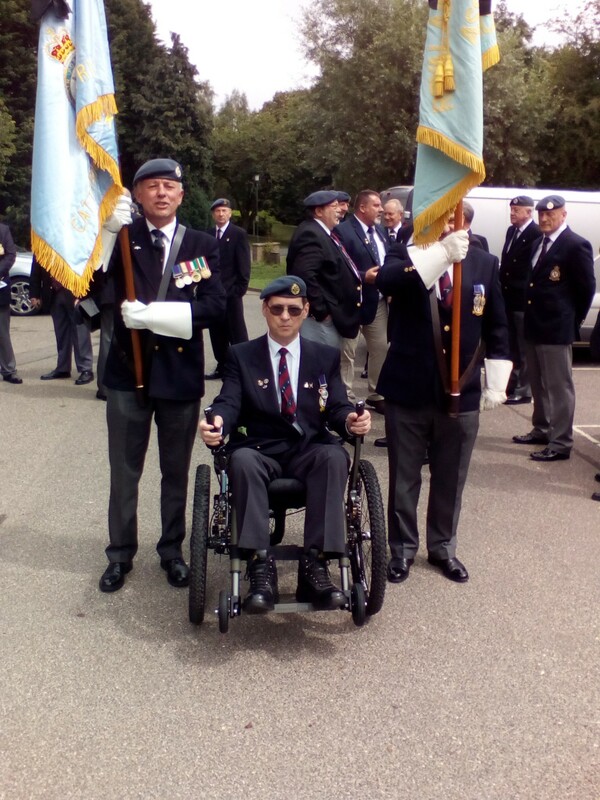 I was fortunate to have my Mountain Trike funded by SSAFA (a charity who provide support for the armed forces), who organised the funding for my Trike. The military picture is from funerals of Brothers in Arms from the RAF Regiment. All commented on how smart the Mountain Trike looked and was fitting for the occasion.